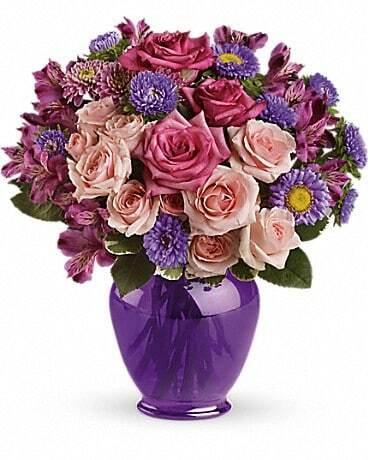 Impress someone special without depressing your budget. 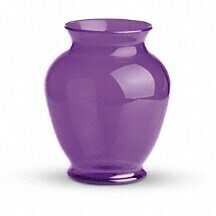 Send lush pink and lavender flowers in a classic purple ginger jar. 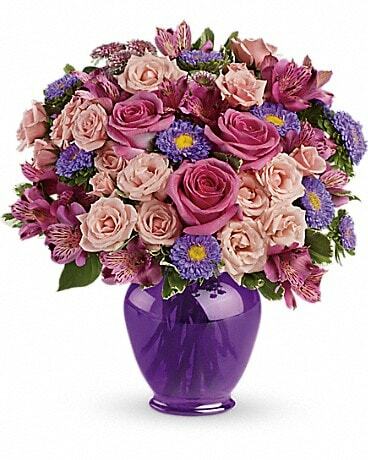 This breathtakingly gorgeous bouquet features an elegant blend of pink roses and lavender favorites in a classic ginger jar of translucent purple. The effect is stunning - the price is not. 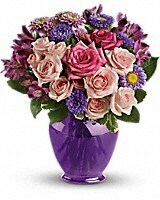 It's a beautiful way to show your love and your good taste.